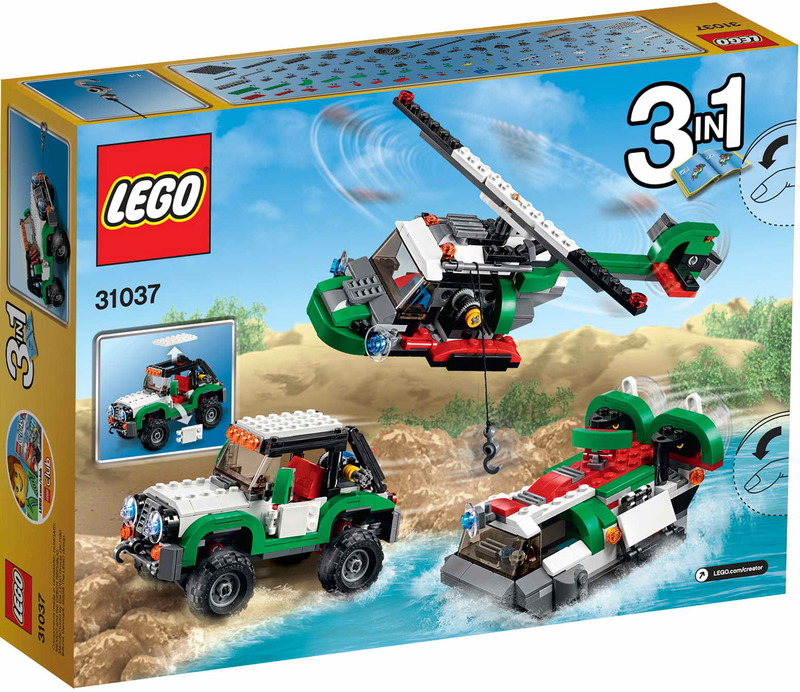 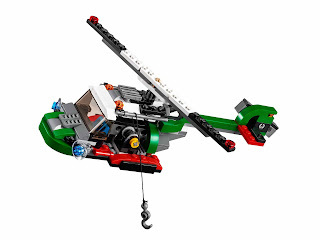 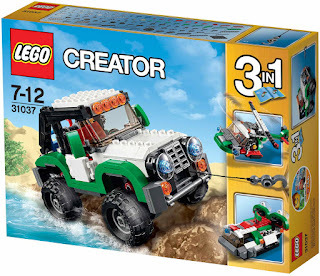 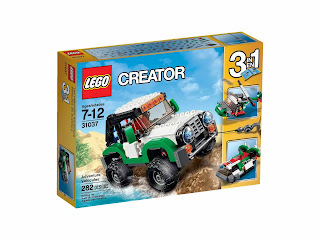 can be built into an offroader, a helicopter and a hovercraft. 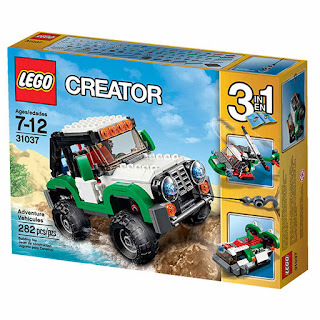 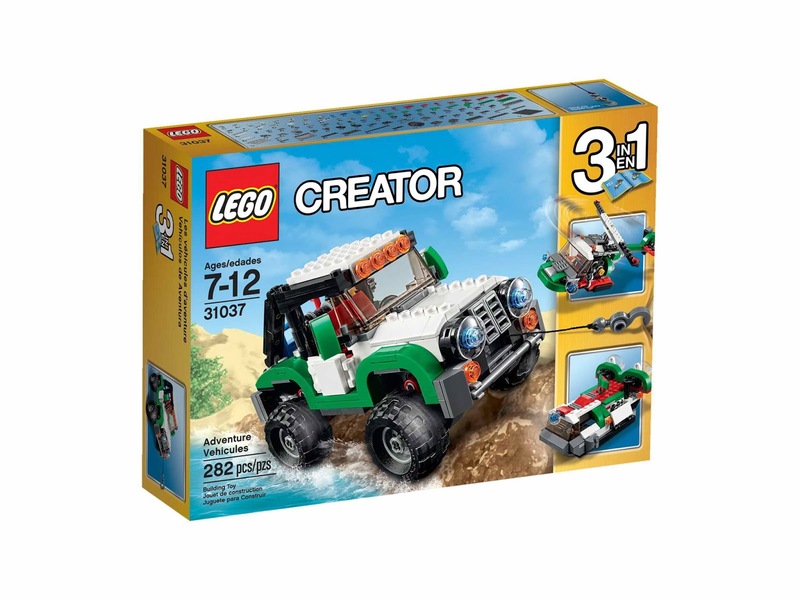 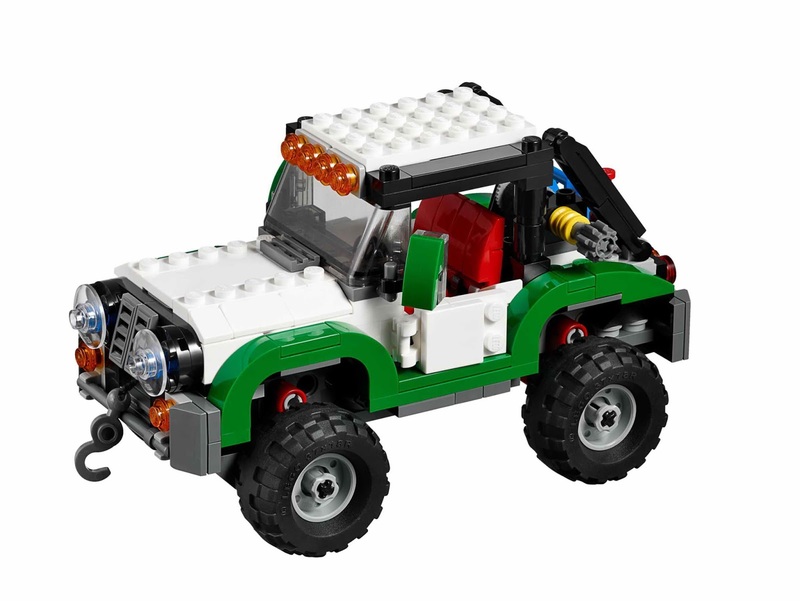 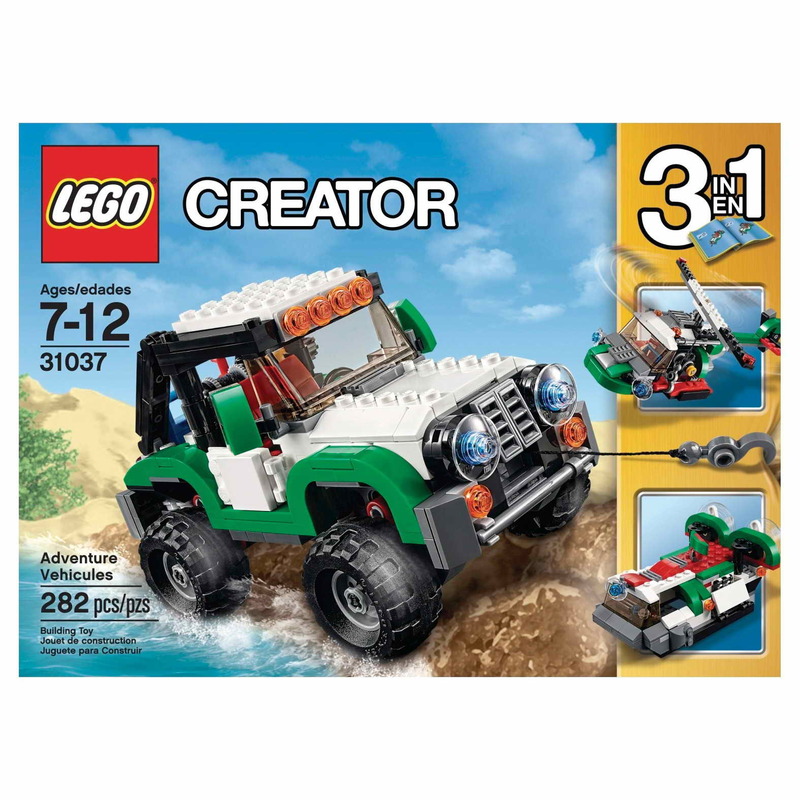 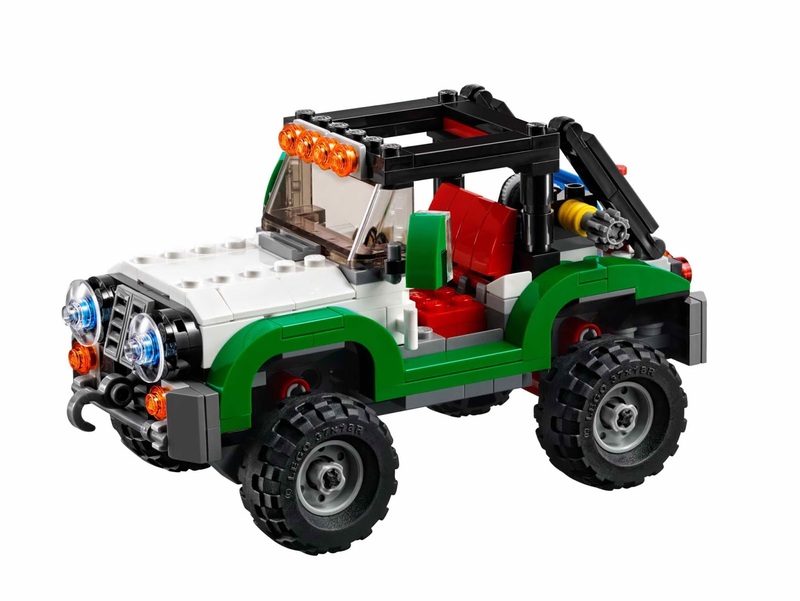 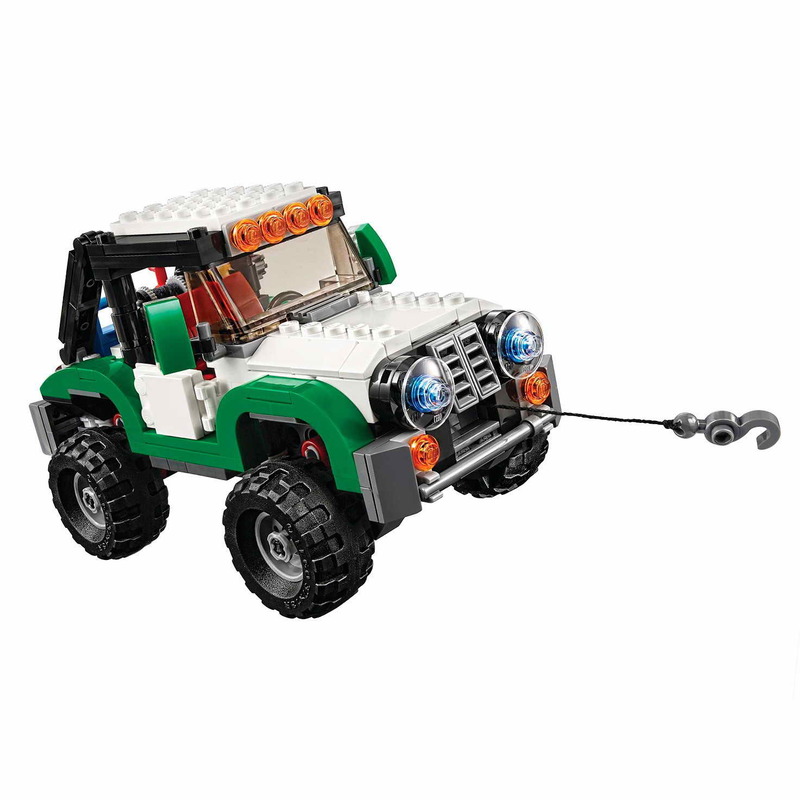 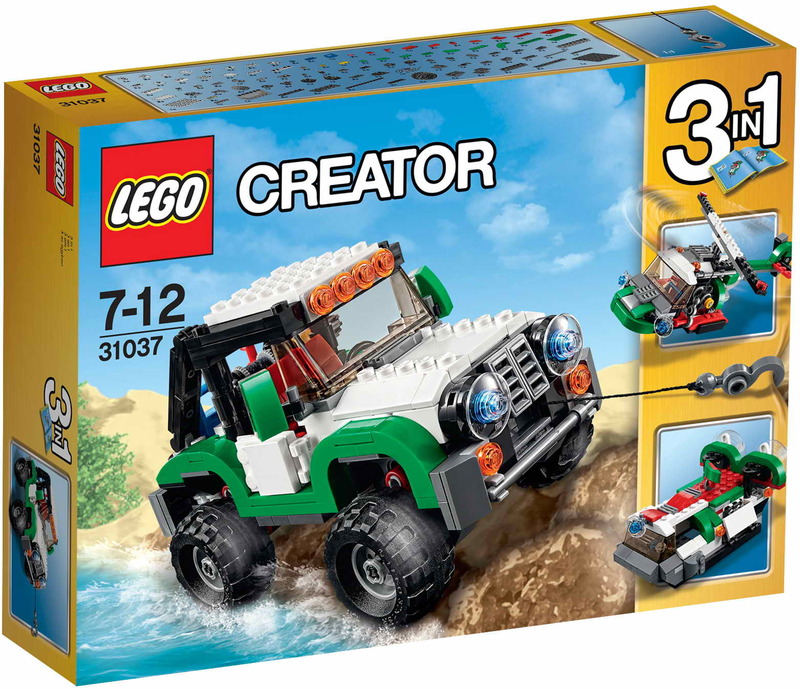 the offroader has a workable winch and hook, openable doors, big deep tread tires, ultra high fenders, a bull bar and orange warning beacons. 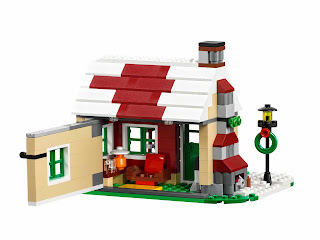 can be built into a summer cottage, an autumn cottage and a winter cottage. 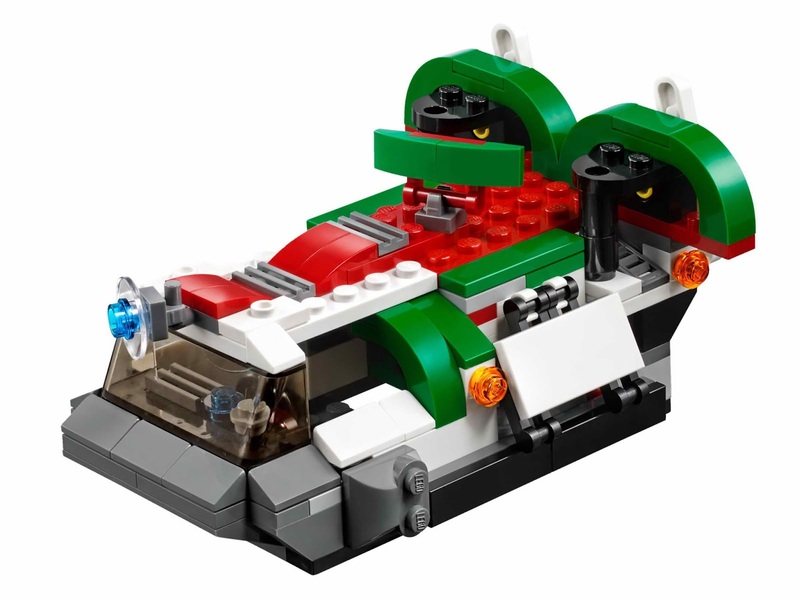 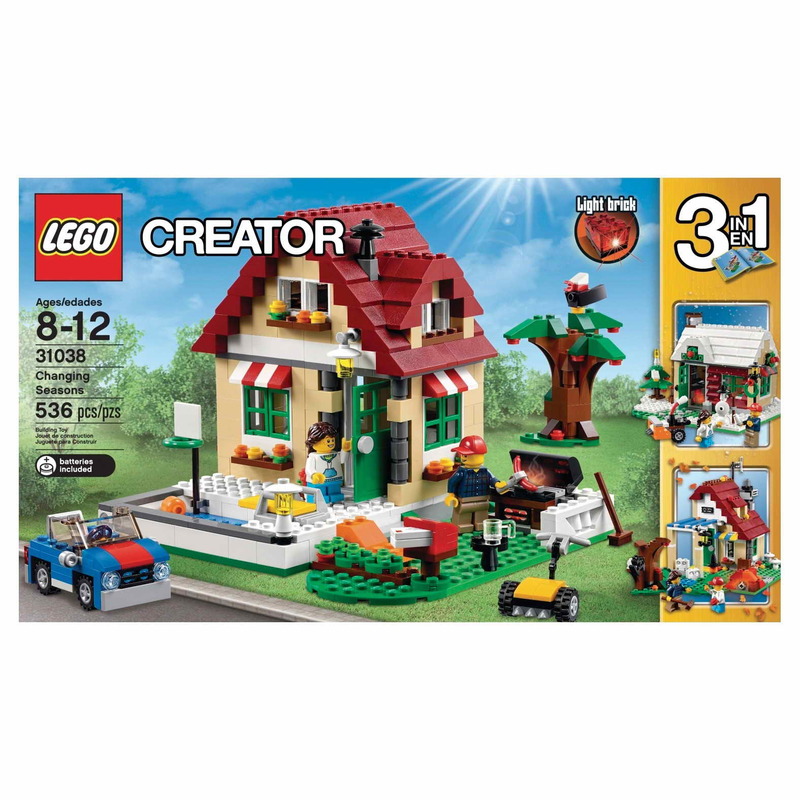 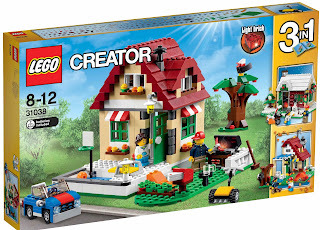 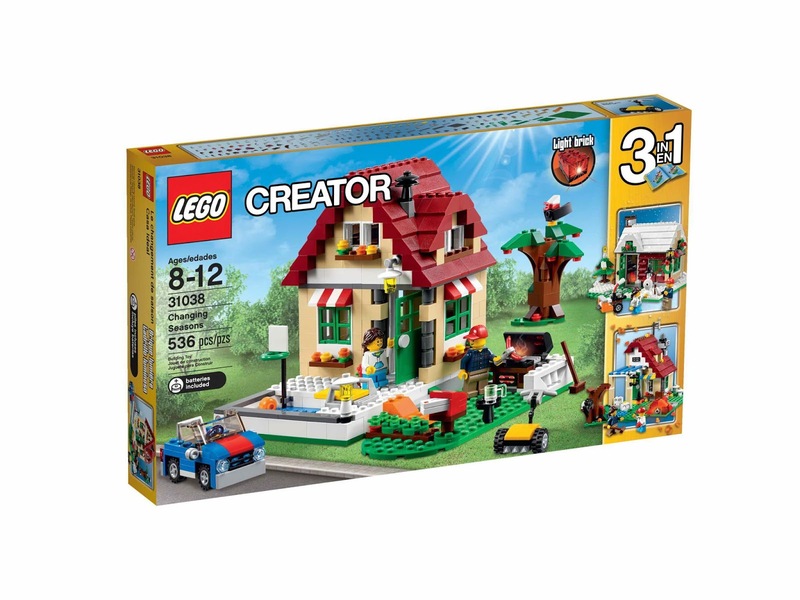 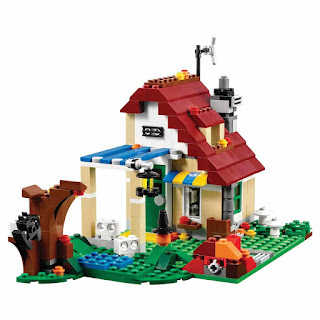 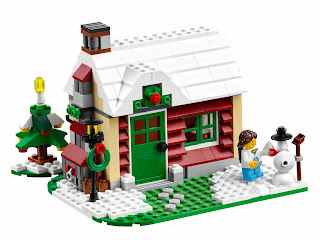 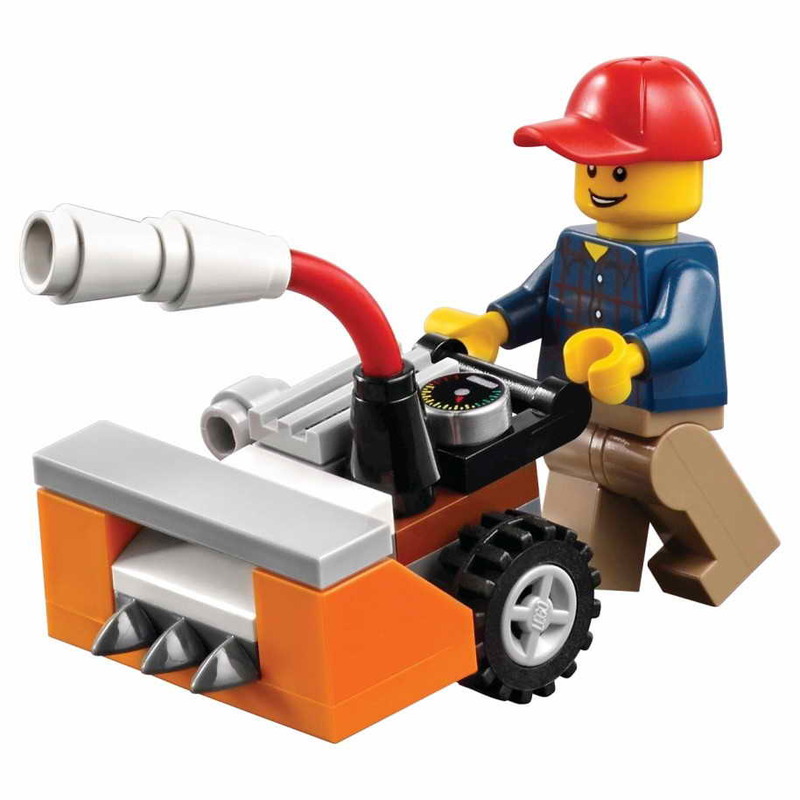 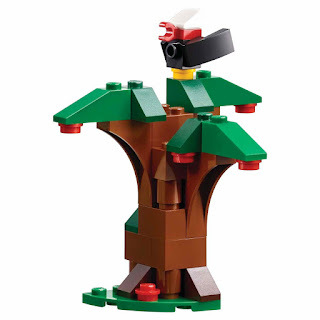 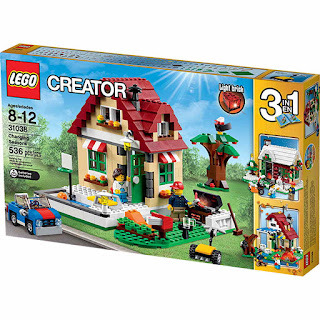 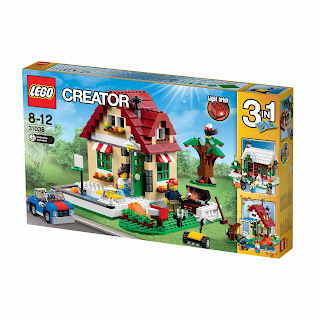 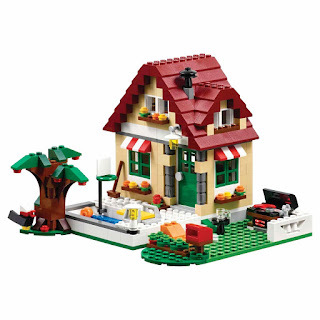 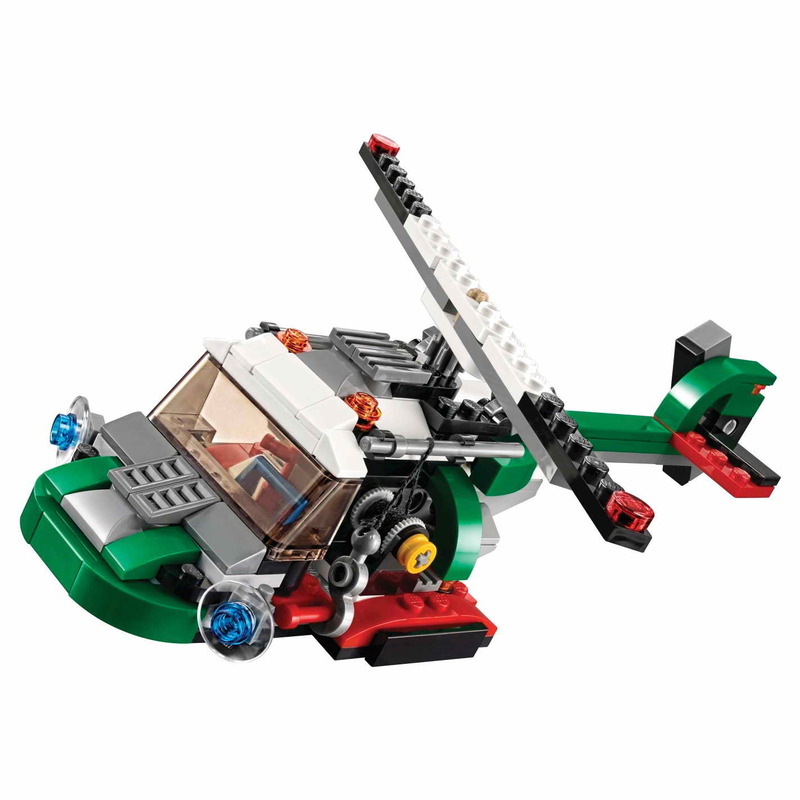 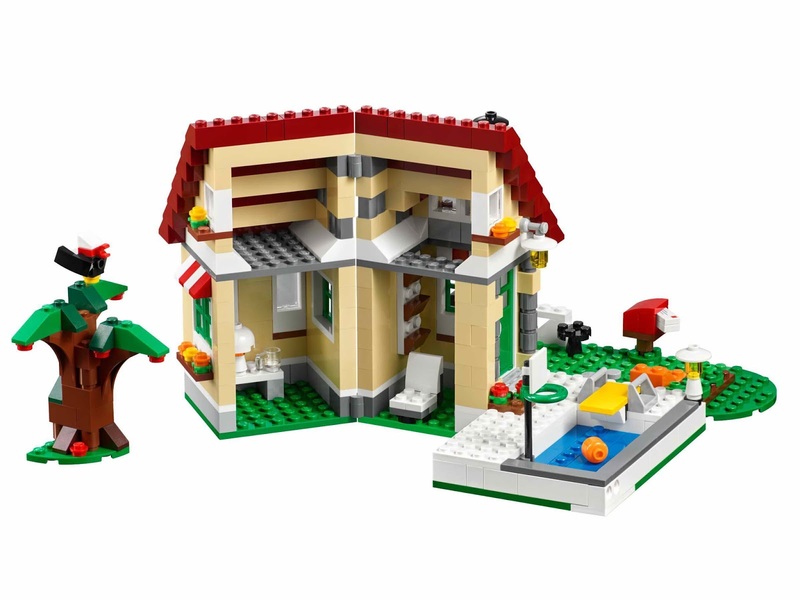 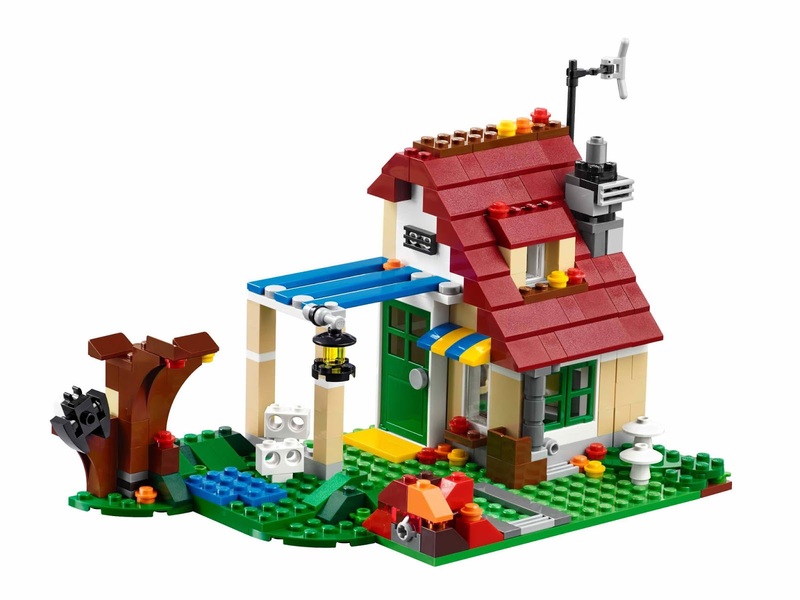 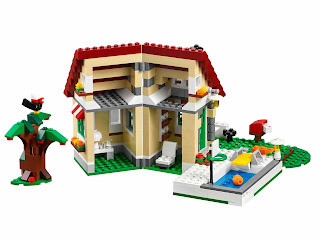 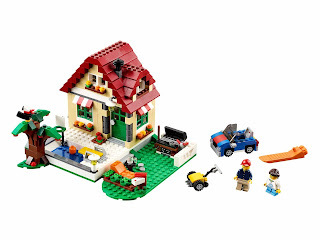 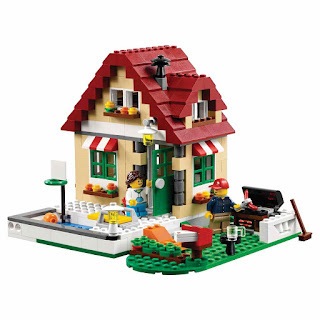 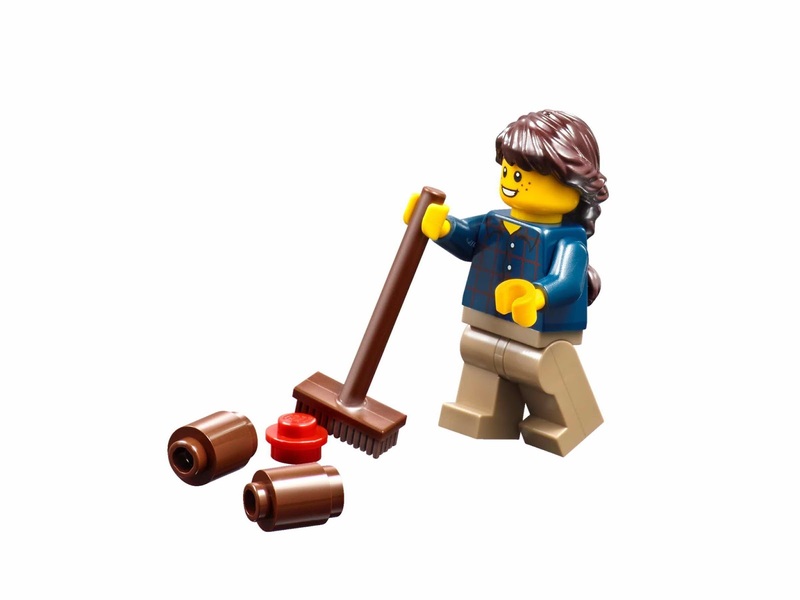 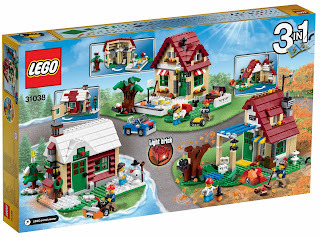 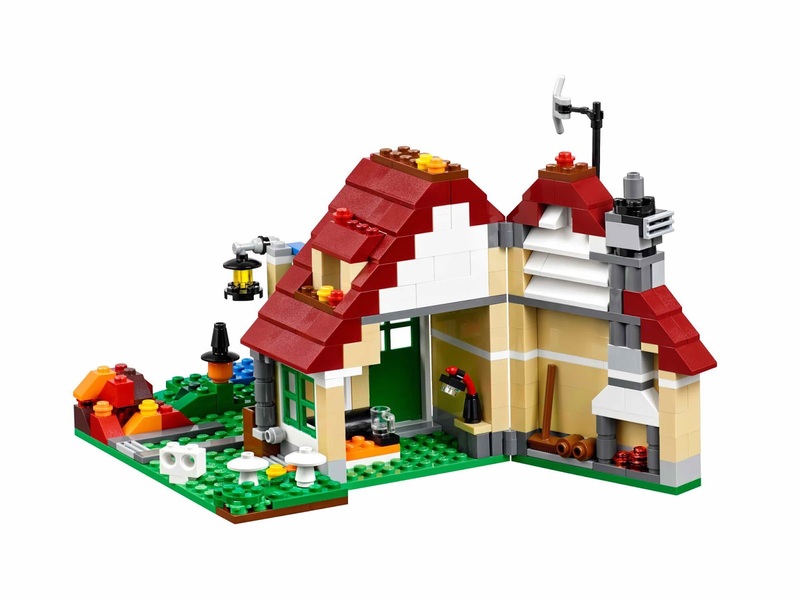 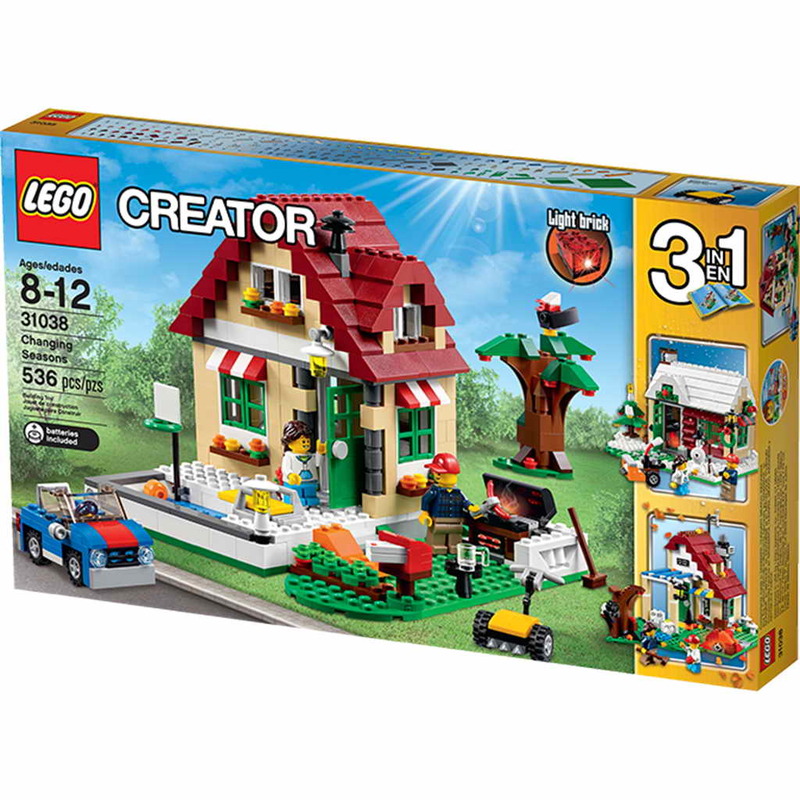 the cottage has 2 awnings, window boxes, a swimming pool with diving board and basketball hoop, barbecue with LEGO light brick, a lawn, a lawn mower, a vegetable patch, a lamp, a tree, a bird, a chaise lounge, a table and a mailbox with mail. 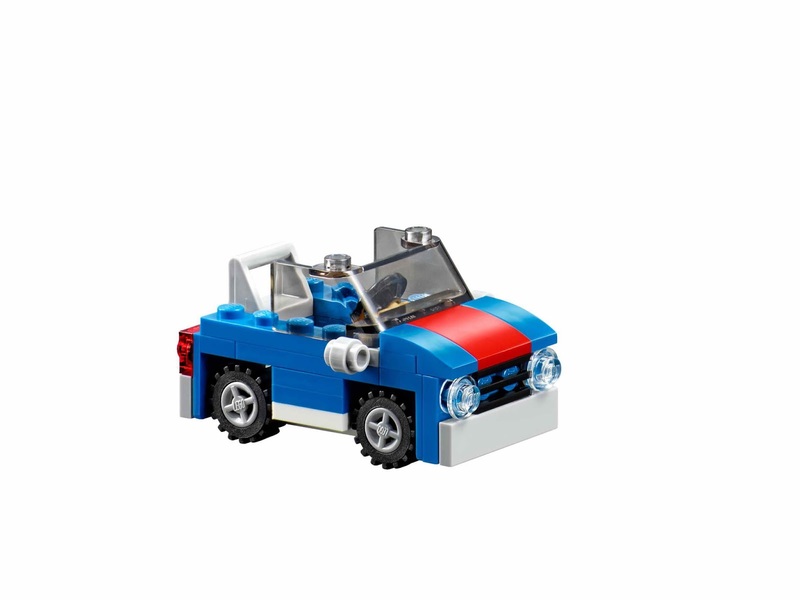 also included a blue car. 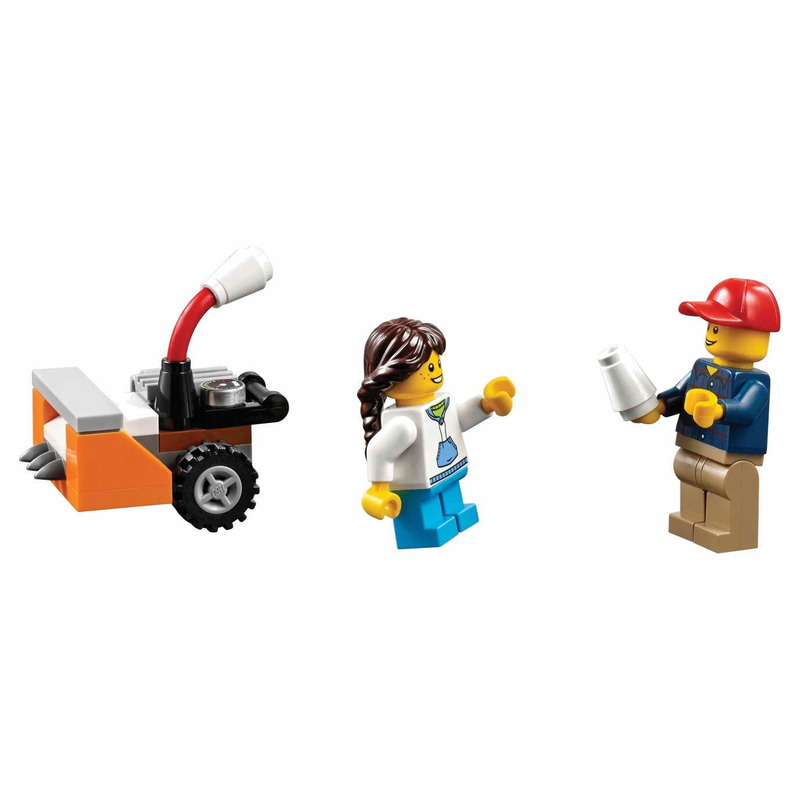 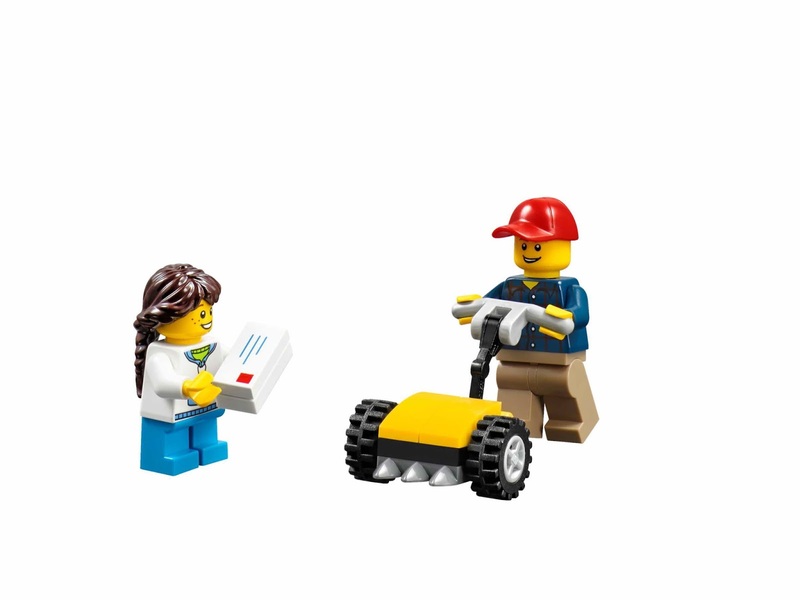 minifigs included a man minifig and a girl minifig.